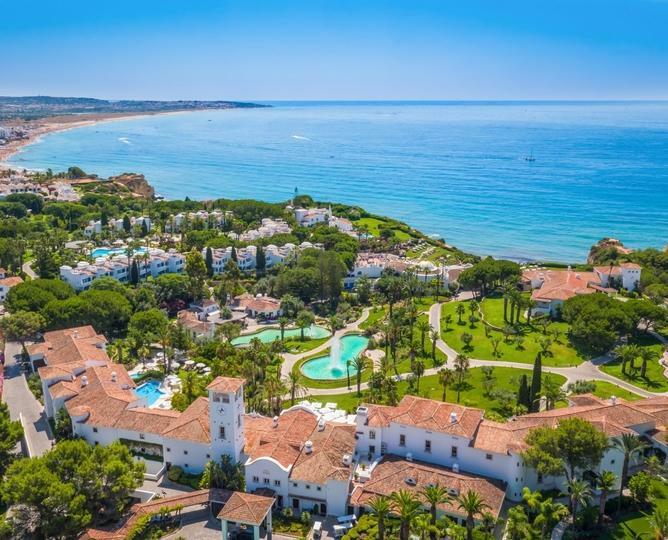 This property is widely considered one of Europe’s finest resorts. Located in Alporchinhos, Porches, and set in over 22 hectares of lush landscaped sub-tropical gardens on a cliff overlooking the Atlantic Ocean, this unique resort has an extensive choice of leisure facilities and a variety of first class culinary options, being the perfect place for your holiday or for your meeting and incentive requirements. The resort has 170 distinctive rooms, suites and villas to offer, all with balconies or terraces facing the sun, 6 bars, private yacht, Health Club, 7 pools (3 adults, 3 children and 1 indoor), child care facilities, two tennis courts, playground, pitch and putt and putting green and direct access to a secluded beach. A visit to the spectacular vaulted Wine Cellar is the highlight for all wine connoisseurs and a wide choice of wellness and beauty treatments will complement the experience. The chefs of up to 10 seasonal restaurants delight all with the variety of creative Portuguese and international specialities, including the two Michelin-starred Ocean Restaurant.The rooms feature a balcony or terrace where charming views of the Atlantic Ocean and Armação de Pêra can be admired. Some accommodation is fitted with a seating area and satellite TV.In the landscaped gardens, Vila Vita Parc Resort & Spa offers an outdoor pool. The hotel also offers an on-site nursery and a children’s play park.Vila Vita’s spa features 4 aroma steam baths, a sauna and massage treatments. A gym is available as well and sports activities onsite include mini golf and a tennis court.With 10 restaurants and 6 bars, the food offered varies from local Portuguese seafood dishes to Asian cuisine. Vila Vita Parc Resort & Spa features a wine cellar stocked with fine wines.